NEW - IBARMIA quality drilling machines. IBARMIA drilling machines have been one of Europe's most respected ranges over the past 50 years. As the preferred brand in MOD and educational establishments across the UK, new customers can be assured of their quality and reliability. 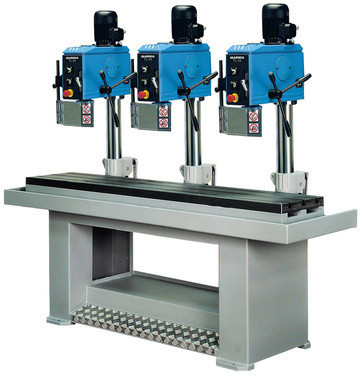 A full range of machines from 18mm to 100mm capacity, comprising of bench, floor standing, multi head, heavy duty and special purpose models are available. ...in the meantime, call us for information and prices.